The Mendip 1850x710mm is the cut to length version of the tray.See content for further details. 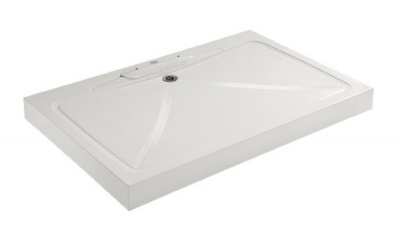 The Impey Mendip Shower Tray is the gravity solution for impenetrable floors. Mendip shower trays have a built-in waste gully for ease of installation where the floor cannot be breached, as is often the case in situations such as multi-storey apartments. 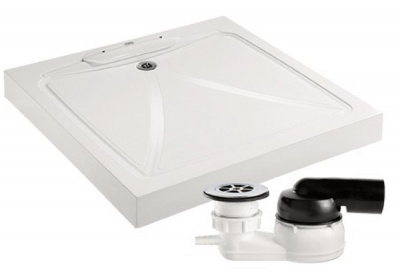 All Mendip Trays include a tiling up-stand and a factory fitted waste trap. The compact above ground waste has a swivel outlet for drainage positioning. It has a 40mm outlet and a 50mm water seal. Designed to be used with single feed instantaneous electric showers with a flow rate no more than 6 litres per minute. These highly robust trays require no bedding down as the high manufacturing specification allows them to be fully self-supporting. The waste gully is housed beneath the tray, which is 100mm high. The Mendip 1850x710mm is the cut to length version of the tray. It is supplied with two end caps. Should be trimmed with a saw.